NEW YORK (WABC) -- Better late than never, New York City was treated to a special Manhattanhenge Wednesday night, and the event was captured by some talented photographers. Manhattanhenge is the phenomenon when the sun lines up perfectly with the numbered streets of Manhattan while it sets. It happens twice a year around the summer solstice -- and it was supposed to happen Sunday and Monday evenings, but cloud cover made the event uneventful. Wednesday night turned out to be a perfect night to capture it. We picked out 7 incredible photos. 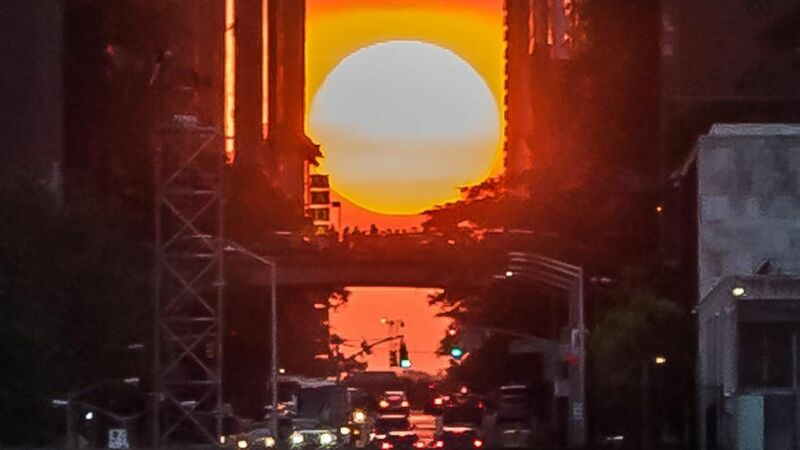 Did you capture photos of Manhattanhenge that you want to share with us? Use the hashtag #abc7NY on Twitter and Instagram.